TriMet’s dedicated effort to grow and improve our service continues in September, with added bus service and transfer improvements on the bus and WES Commuter Rail systems. It’s year two of our 10-year expansion of transit service throughout the region to better serve riders and create more connections to jobs, schools, services and entertainment. The improvements are coming September 3, 2017 as part of our fall 2017 service expansion. 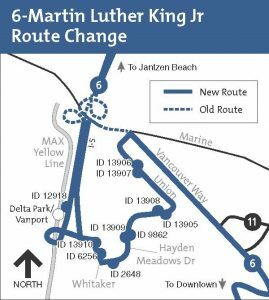 They feature a major bus line expansion and route change for the Line 6-Martin Luther King Jr Blvd, increased service on four other bus lines and an earlier first departure time for WES commuters traveling from Wilsonville. We also are making some changes to route and station names to align with the Connecting Hillsboro Address Project. The Line 6 improvements provide new connections to Delta Park’s retail center. To serve this growing retail destination, the Line 6 will run from N. Vancouver Way to N Hayden Meadows Dr. and connect with the MAX Yellow Line and C-TRAN at the Delta Park/Vanport Station, adding nine stops. These service improvements, which are funded in part from the increase in the employer payroll tax approved in 2015, equate to about $2.9 million in service investments this fall. 6-Martin Luther King Jr Blvd: Expanding route, adding nine new stops. 33-McLoughlin/King Rd: Expanded hours of weekend service between Downtown Milwaukie and Clackamas Town Center. 44-Capitol Hwy/Mocks Crest: Increased midday frequency Monday through Friday between Pier Park and Rose Quarter area. 52-Farmington/185th: Increased midday frequency Monday through Friday, plus increased weekend frequency. 77-Broadway/Halsey: Increased midday frequency to every 20 minutes Monday through Friday. WES Commuter Rail: First departure from Wilsonville station to leave at 5:16 a.m. instead of 5:21 a.m. for better transfer connections at Beaverton Transit Center. 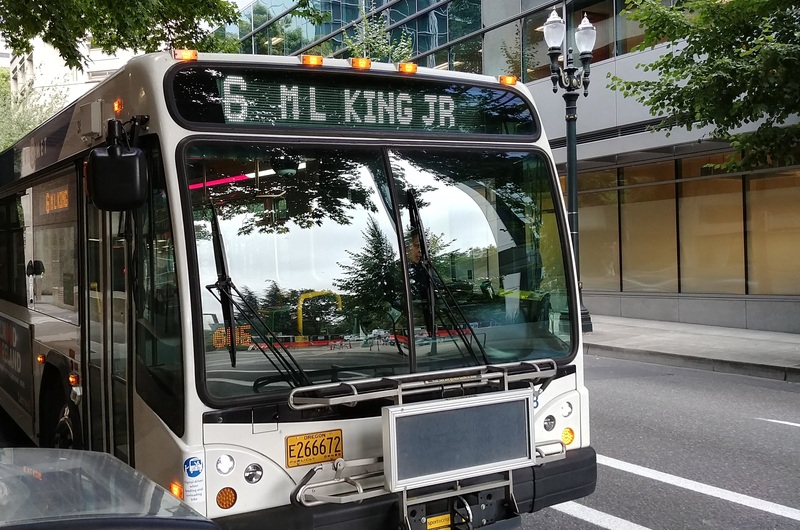 In addition to the service changes, on September 3rd TriMet is changing the name of one bus route and two MAX stations to match street name changes occurring in Hillsboro. Quatama MAX Station: Changed from Quatama/NW 205th. Orenco MAX Station: Changed from Orenco/NW 231st. Read more about our fall 2017 service extension here. We know our riders want more and better service. That’s why, TriMet is committed to growing our network of buses and trains, while improving the overall rider experience. That means increasing service frequency for less waiting at stops and less crowding on board, and adding service for more connections to jobs, school and other community services. Meanwhile, ongoing upgrades to vehicles, stations and tracks are helping to improve reliability and make the ride more comfortable.